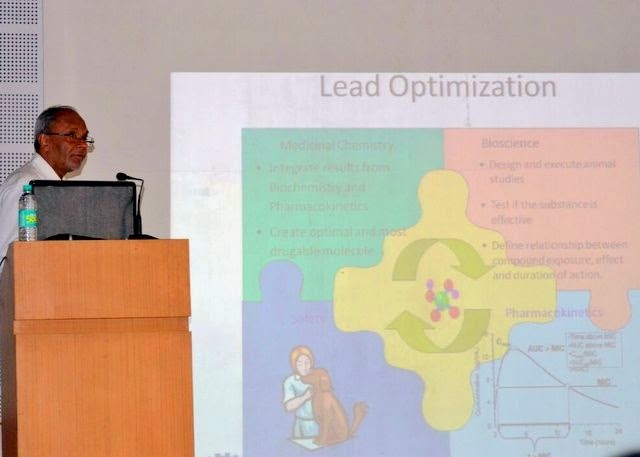 The Department of Biotechnology organised the fifth guest lecture of 2014-15 on 6 December 2014 in the Mini Auditorium, Block I of Christ University Main Campus. Dr. T. S. Balganesh, distinguished Scientist CSIR, and Head of the Open Source Drug Discovery Unit delivered a talk on “Antibiotics: are we losing the war?” Dr. Balganesh is a global expert on Tuberculosis and other infectious diseases and has a vast experience in leading drug discovery and development. During the lecture he emphasized on the need for developing newer and more potent drugs to eradicate diseases like TB and Malaria. He gave an outline of the drug discovery process followed by challenges that need to be overcome in order for make the availability of cheaper and quality drugs to the common man. Dr. Balganesh's words were truly inspiring and encouraging to the young mind. Department of Management Studies conducted the second session of Management Development Programme on Leadership for the officials of Coconut Federations. The session was inaugurated with the welcome speech by HOD, Dr. Jain Mathew, who emphasised the importance of such a programme for the all round development of farmers, followed by the speech by the Deputy Director of Coconut Development Board. Vote of Thanks was proposed by the coordinator of the programme, Dr.A Sridharan. The sessions were conducted by Dr. Jyothi Kumar, Dr.Jain Mathew, Prof. Balu, L, Dr. Jayasankara Reddy, Dr. Padma Srinivasan and Prof. Suresh Pai.. The programme ended on 20th Dec. '14 with the valedictory function, when Prof. Suresh Pai distributed the certificates to the officials and student volunteers. 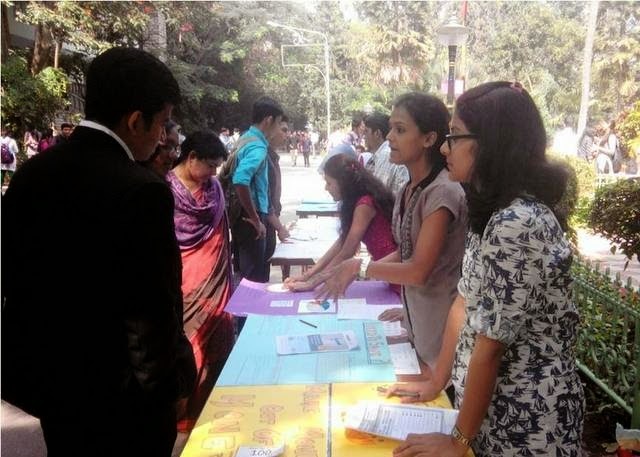 Arthaprabandha – The Finance Club, Department of Commerce, organised an event ‘Financial Drive” for the university level on 26 November 2014. The major objectives of this event are as follows. 3. To give basic knowledge on financial products and instruments for the non-commerce background students. Finance club members from final year and second years organised this event and exhibited various charts, posters, pamphlets and direct notice on the available products in the market. 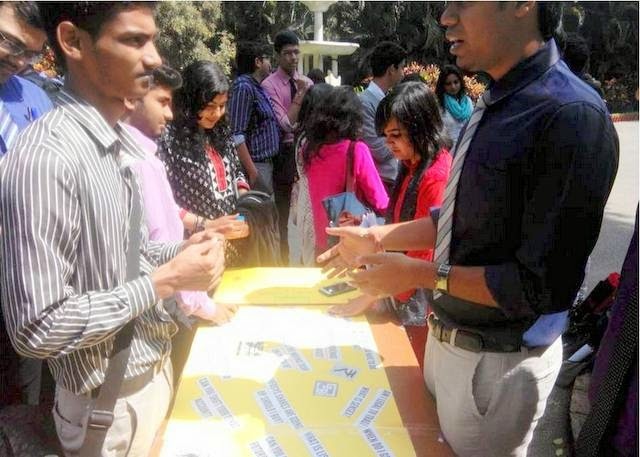 Mr. Vash and Mr. Ravi, President and Vice President of our finance club organised this event. 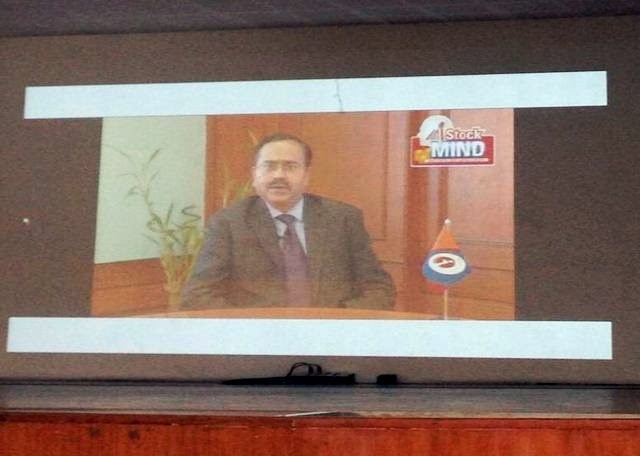 On 5 December 2014 Arthaprabandha, The Finance Club of Commerce Department in Association with ICICI learning organised an event named “Stock Minds” virtual stock trading game across all top colleges in India. 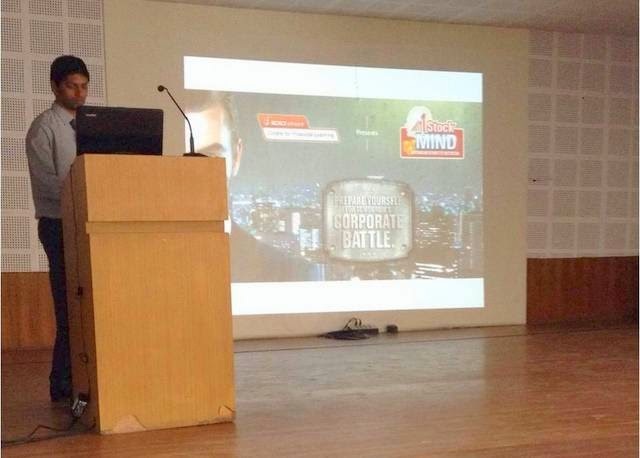 Mr. Amar Gupta from ICICI explained the game for our students. 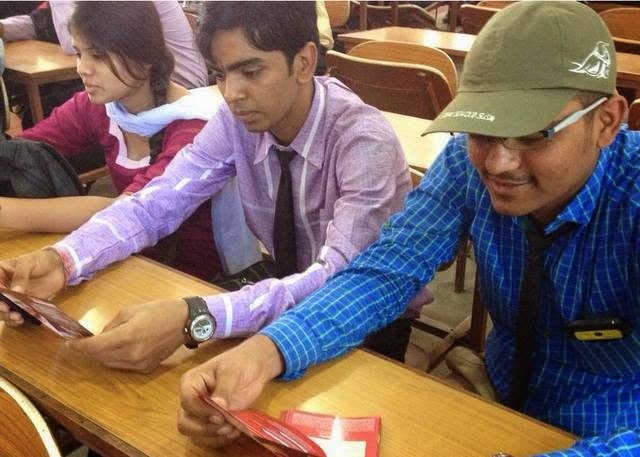 Nearly 150 BCom Students attended this event and started registering for this game online. 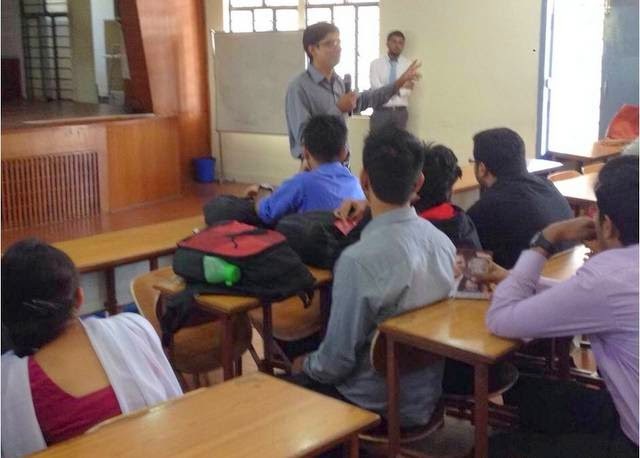 All the instructions was given by Mr. Amar from ICICI, students had a Q&A session on the same. On 5th& 6th of December 2014, the Department of Computer Science and Engineering organized a national conference on Data Mining and Pattern Recognition. 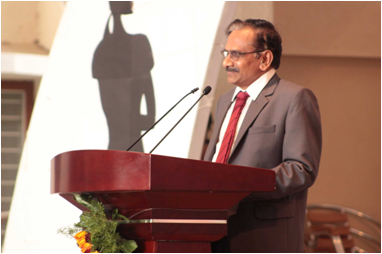 The chief guest for the inauguration of the conference was Dr. Jay BSimha, CTO of Abiba Systems, Bangalore. The conference saw some prominent guest speakers, involving researchers and academicians as they were given a platform to exchange a variety of information on an emerging topic as well as provide their perspective and opinions. The MTech students both 2nd and 4th Semester students and professors from Mechanical Engineering department were also part of it the conference. The conference commenced with Dr. Simha along with two of his team members, Ms. Vani & Mr. Sudesh presenting on the topic of data science, visual analytics and spatial analytics. Ms. Vani and Mr. Sudesh went on to speak on their respective research as well. Ms. Vani was focusing on market segmentation, data processing and data modeling, while Mr. Sudesh’s area was determining methods on extracting data from social networking and how to process these newly gained information. 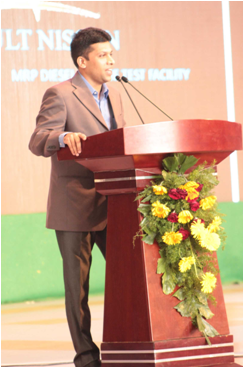 Later, Prof. Sreenivas K.G., Head of Department of CSE M.S. Ramaiah Institute of Technology delivered a talk on data mining, pattern recognition & machine learning. The second day of the conference commenced with Mr. Dinesh Govindraj, Machine Learning Scientist, Amazon & Dr. Ramana, Research Scientist, Amazon India. 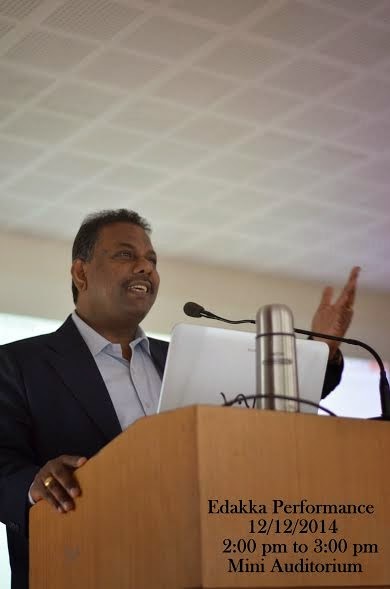 Mr. Govindraj spoke about the different forms of internet ads & affiliate marketing. He further gave some insightful information on machine learning models and game theory. Dr. Ramana, on the other hand provided some new information on data science. Moreover, he demonstrated a small implementation of Benford’s law. In succession were three internal faculty presentations Prof. Jyothi Thomas, Prof. Vinai George and Prof. Ganesh, delivered on their respective research areas. Post lunch second day Dr. Guruprasad, Head of Department of CSE, BMS College of Engineering gave his technical talk in Big Data and Cloud Computing. It was followed with three presentations from the external participants. The program on Day 2 around 4:00PM ended with a valedictory function along with photograph sessions. Overall, the conference provided opportunities for research scholars, professors and industry executives alike in gaining some insightful information and to expand their knowledge on data mining and pattern recognition. Department of Management Studies conducted three day management development programme on leadership for officials of coconut federations of Karnataka between 3rd and 5th December, '14. The officials, who are coconut farmers very well appreciated the way in which the programme was conducted by the faculty from Management Studies, CUIM, Research and Sociology on various aspects of leadership, motivation, communication, inter personal skills, marketing of products,stress management, finer financial aspects of production and related costs. They expressed that there are huge takeaways for them from this programme and look forward to many more such programmes from Christ University! 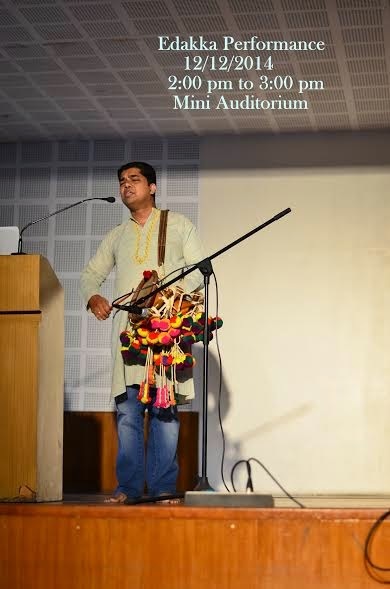 A guest lecture and performance was organized on 12 December 2014to enable final year students to understand, appreciate and read a traditional art form. 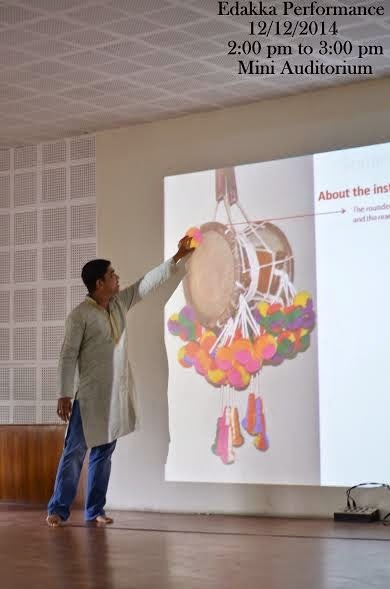 Eminent Edakka performer, Sri.Anil Kumar Gopalakrishnan Nair delivered a lecture on the topic “Sopana Sangeetham: The Traditional Art of Kerala”. He spoke at length about the relevance of the art and the significance of the instrument “Edakka”. He stressed upon the symbolic significance of the Edakka as representative of the cosmic universe through the way in which the instrument is made. He also problematised the notions of patronage and the waning response to the art. This was followed by a live performance. The question and answer session saw some students, who are practitioners of the artform, delve into the reasons why women are often prevented from performing this art on stage. Mr. Anil addressed the issue of revolutionizing the art form in tune with the contemporary response. The logo and poster of the National Seminar on Narrating Centers and Peripheries: Minority Discourses in India, scheduled for 12 & 13 Jan 2015 was displayed by Professor John Joseph Kennedy, Dean, Humanities and Social Sciences and HOD of English, who spoke about the importance of folk art. 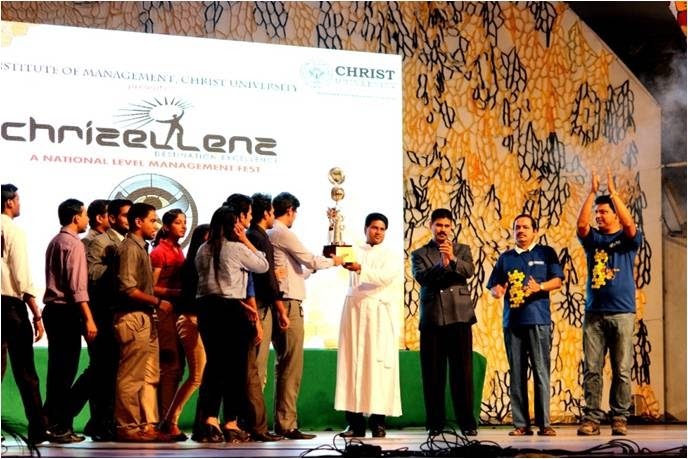 Chrizellenz is a national level management fest held at institute of management, christ university, kengeri campus. It was incepted in the year 2009 and since then, the best minds from b-schools across the nation compete to test their business mettle. The event is famous for its creative challenging tasks, best in class hospitality and unlimited fun. 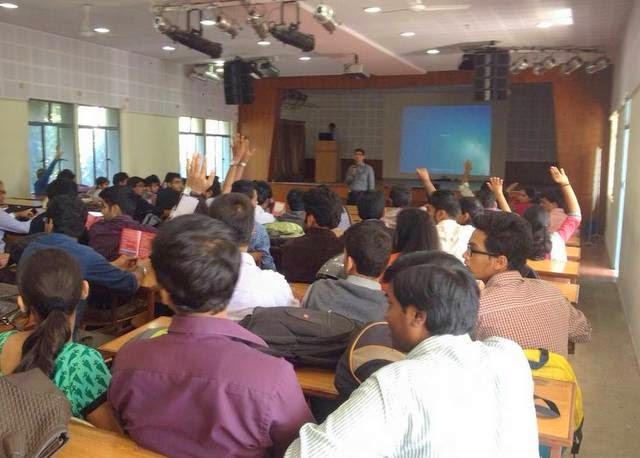 We had a spectacular two day buzz of enthusiastic participants on 21st and 22nd november 2014. It was filled with ideas, innovation, creativity, fun and enthusiasm contributed by the best minds from all across the country. The most notable parts of the entire fest were the creativity and artwork with the entire campus decorated with bee-hive themes and related elements. Participants were engaged in stimulating as well as fun events simultaneously. Beehive, that’s how it all started. This theme was a beautiful element added to chrizellenz by navin, a student of mba general management. The bee hive is an emblem of the industry. It is a significant representation of the hard work, harmony, order and frugality of the people, and of the sweet results of their toil, union and intelligent cooperation. Working together during this early period, individuals contributed specialized talents and skills for building an integrated and well-planned community in a hostile environment. Community and individuality, created this persistent symbol. Sponsors for the event were geckolife, manchahe.com and binco. Media partners for the fest were business standard and btv news. Chrizellenz 2014 – destination excellence saw participation over 50 colleges, amongst which 30 were outstation colleges. 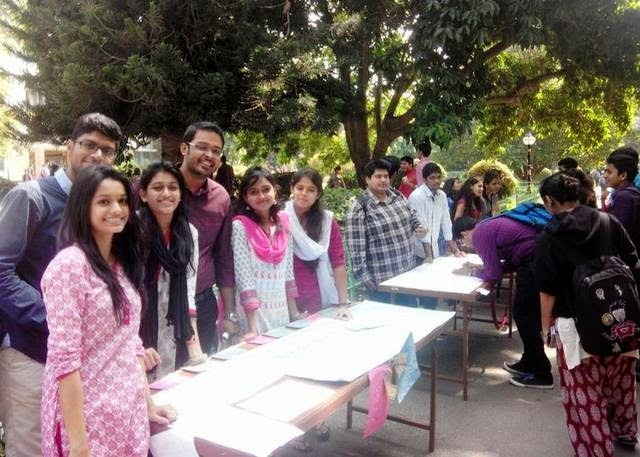 Around 600 students from different colleges participated in events conducted across two days. The flagship event which was the best manager event received participation from more than 30 teams who fiercely battled through 12 rounds for the ultimate title. 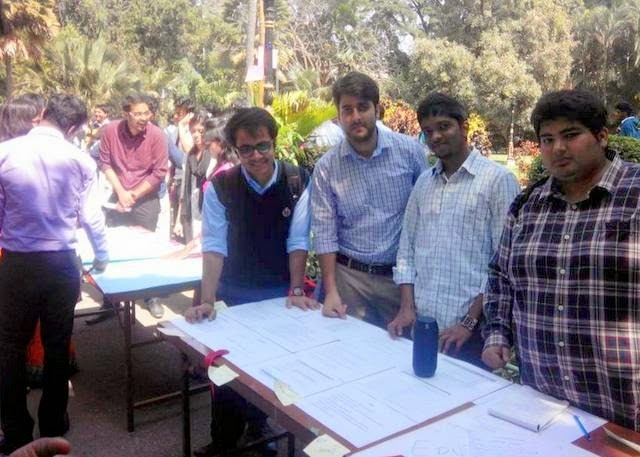 B- plan event had participation of over 50 teams which brought out the entrepreneurial spirit within these young and budding minds. 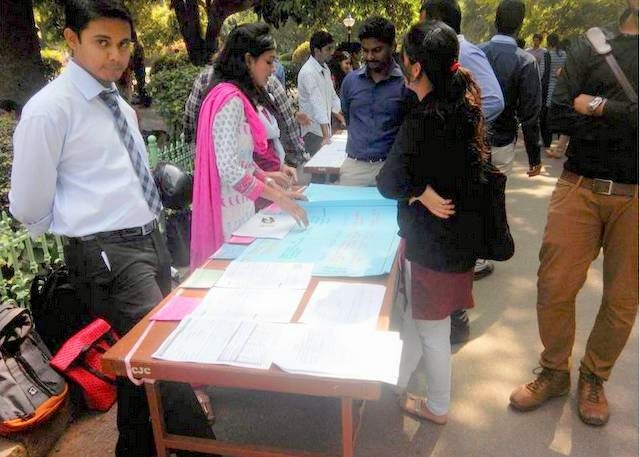 Other specialization events also had equally enthusiastic participation of 50 b-schools. The first day began with an overwhelming response from various b-schools from participants pouring in to register and be enthralled by the events in store. It was then followed by a completely planned and coordinated schedule of events that were distributed into 9 categories – best manager, b-plan, b-quiz, csr, marketing, finance, operations, general management and hr. The day ended with breathtaking performances by first year christites and all participants thoroughly enjoying the entertainment. The second day witnessed the finale of all the events ending with extra much informative b-quiz finale and jaw-dropping stress round of best manager. The winner for best manager was mr. Joe solomon from kristu jayanti college and the overall championship was won by xime, bangalore. The overall runner up was won by kristu jayanti college. Institute of management, christ university had witnessed the highest number of footfalls this year and has made a benchmark regarding its college fests. The feedback of the participants was very positive and encouraging. Participants also commended the hospitality they received during their stay over the two days. Report on Guest Lecture organized by Biotechnology Association on December 8, 2014.. 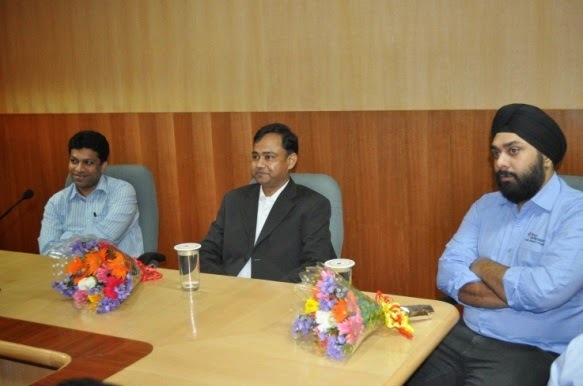 The sixth guest lecture of the academic year 2014-15 was organized by the Biotechnology Association on December 8, 2014 in the Assembly Hall, Block II of Christ University Main Campus. Ms Bhavya D, who is currently a pursuing Ph D in the field of Plant Biotechnology in Nottingham University, UK delivered a lecture on “Crops in the warming world”. She is an alumnus of Christ University who had done her B Sc BCB course during 2008-2010. She stressed the significance of the emerging area of Plant Genomics and how it plays a major role in improving agricultural productivity in the future. She also gave insights regarding courses in Nottingham University and other reputed Universities in UK to II and III year BCB and BCZ students. The students got a lot of information regarding the kind of research work in the field of Plant Biotechnology which is being carried out in foreign universities. 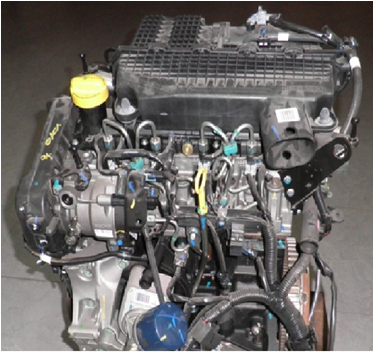 Under the MOU (Memorandum of Understanding) between Christ University , Bangalore and RNAIPL (Renault Nissan Automotive India Pvt Ltd.), Oragadam , Chennai , a four cylinder 65 HP class diesel engine hardware (Fig. 1) has been provided for research. A MRP ( Major Research Project )-1302 has been sanctioned during NOV 2013 at the cost of about fifty lakhs and three years duration. 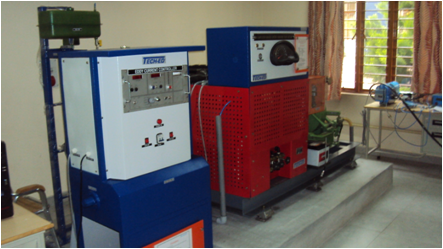 The aim and objective is to ; 1) Create a state—of-the-art test facility 2) Evaluate the base line engine design characteristics by extensive testing and 3) engine mod by going in for a LHR ( Low Heat Rejection Engine) with the idea of providing value added inputs the existing engine in terms of better SFC (Specific Fuel Consumption) and reduced pollutants. The modification LHR engine is envisaged to be realized by coating the piston crown with zirconium oxide and exhaust manifold. Specimen coating trials are in progress towards the goal of realizing mod engine. About a dozen thrust areas are identified. 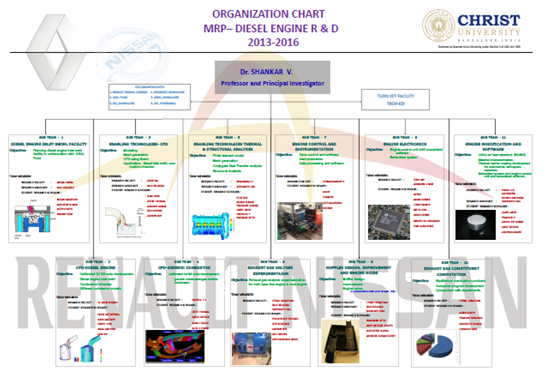 Over nine faculty and fifty students from various departments- Mechanical, Electrical, Electronics & Mathematics are participating in R & D and organization chart is given in Fig. 2. The spin -off potential includes a) Faculty pursuing Ph. D program and 2) students performing research after prescribed academic hours and turning out projects of this work. The inaugural function was held in open air auditorium and Fig. 3 shows Dr. Iven Jose welcoming the gathering- Chief Guest and other dignitaries. 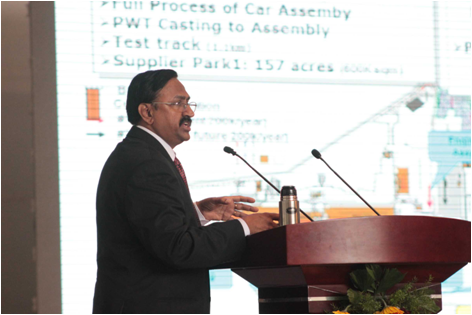 It was held in open air auditorium and an expert talk was delivered on Challenges in Design, Development, Manufacture, Production , Test and Supply of Quality driven passenger cars. 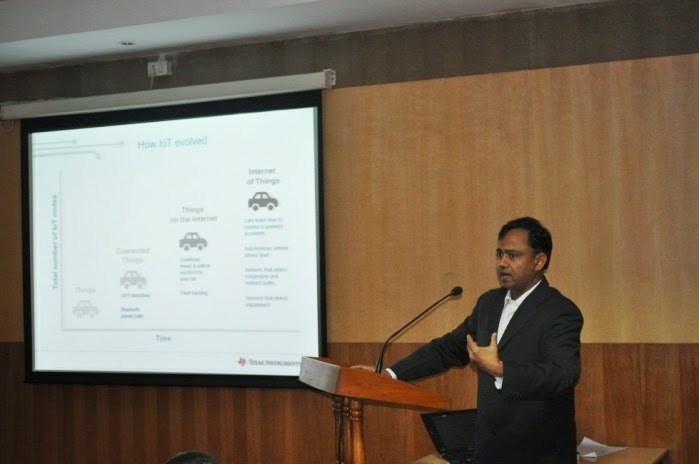 Best practices of both Renault and Nissan that have been put in place were highlighted in the lecture. . Fig. 4 shows Mr. Viswanathan , Vice President delivering the lecture and Fig. 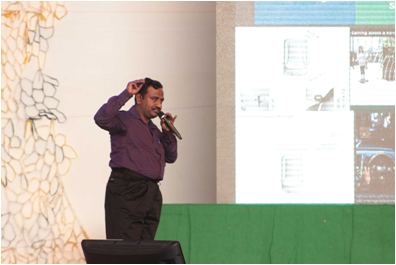 5 shows Mr. Jayasamraj , Production Manager delivering a lecture on quality practices. 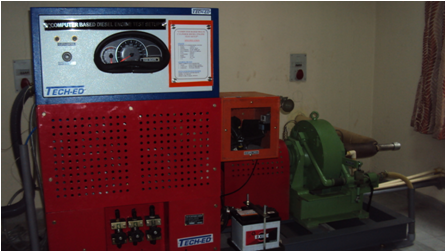 The facility comprises of a 100 HP dynamometer coupled to the engine , dyno control and twelve channel instrumentation and associated PC (Personal Computer) based data acquisition system with a data acquisition software. The facility is shown in Fig. 6 & 7. The festive look is depicted in Fig. 8 and the inauguration by cutting ribbon and starting engine is shown in Fig. 9. Thus , a major milestone has been achieved in he MRP R & D on diesel engines . 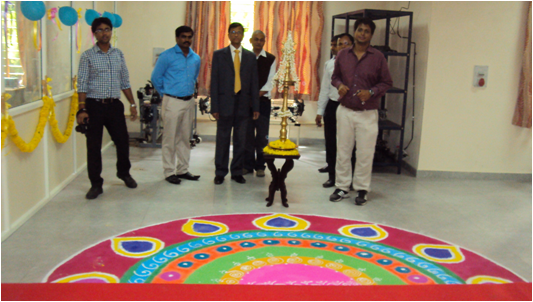 The facility was completed during Sep 2014 and the inaugural function has been held on Nov 22, 14, the Chief Guest being Mr. Viswanathan, Vice President , RNAIPL accompanied by Mr. Jayamasamraj, Production Manager, RNABL. Fr. Benny Thomas, Director Engineering, Prof. D.N.S Kumar, Associate Director, Research, Dr. Iven Jose, Associate Dean, Faculty of Engineering , Dr. Hebbar, Mechanical Co-ordinator and Dr. Shankar. V,Professor & Principal Investigator and departmental professors, research faculty and students were in attendance. While delivering the vote of thanks, Fig. 10, Dr. Shankar, Professor and Principal Investigator placed on records the contribution of quite a few towards the R & D Program . He thanked the Chief Guest Mr. Viswanathan, Vice President , RNAIPL and Mr. Jayasamaraj, Production Manager for visiting CUFE, delivering the lecture on RNAIPL practices and inaugurating the facility. 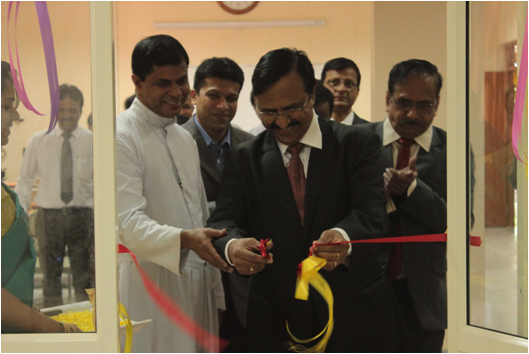 The university support starting right from Dr Fr Thomas C Mathew, Vice Chancellor through Dr Fr Varghese K J, CHIEF FINANCE OFFICER, Prof. D.N.S. Kumar,Prof. of Finance & Associate Director, Centre for Research, Projects, Fr. Benny Thomas, Director, Engineering, Dr. Iven, Jose, Associate Dean , Dr. Hebbar, Mechanical Co-ordinator and faculty and colleagues from Electrical, Electronics and Mathematics Departments , students , research faculty, and non- teaching support staff to Tech ED, Bangalore was appreciated . Enrichment programme for non-teaching staff was conducted on November 22, 2014, a day prior to the canonization of our founder Saint Kuriakose Elias Chavara, seeking his special blessings. Dr A Senthil Kumaran, Principal Counsellor, Education Excellence, CII Institute of Quality, Bangalore was the resource person. 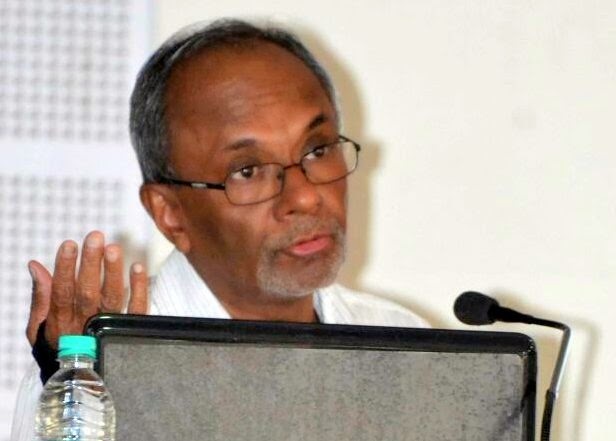 Dr Senthil, who had been a faculty at Christ College, spoke about his experience at Christ College and the drastic changes that the institution is undergoing in every aspect. He stressed the role of academic administrators from the admission process of a student till the student leaves the institution. He emphasized the fact that leadership qualities should be built in each individual. What Excellence means for any institution? 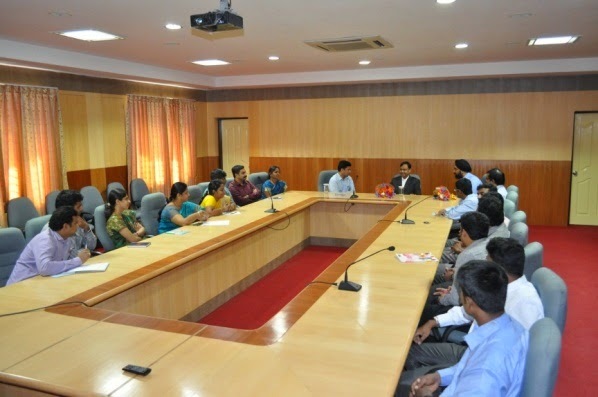 The Vision and mission statement of Christ University was referred and examples of attainment were discussed. With this background an activity was done titled: where are we here? Post-it slips were used to collect inputs; they were pasted on either side of the stage. Analysis was done by the 30 participants, and top three inputs for each question were identified. The session concluded with the situation which the participants may face while doing the change in their respective work area. Correlation between Practices and Performance was shared. PERFORMANCE = Process + People. When either of these components fail, Performance suffers. Assessment and Audit: The assessment should in the form of dip stick. First we should check our own positives and negatives and through a process we should find to get a good result through a development plan. Aspirations of people matter a lot for any organization. If you find any long-term non-alignment of people and their roles, there is a need to rearrange roles or re-energize aspirations. Prepare a job description of the things you do. Even when you move out of the role, the function carries forward smoothly. 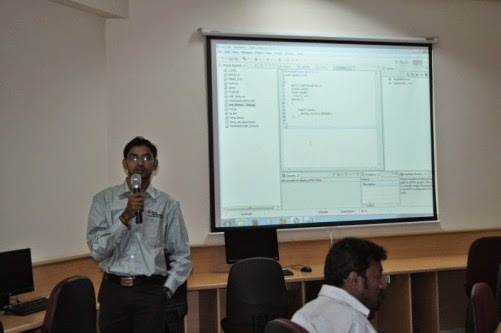 Report on "The three day workshop on MSP430 microcontroller and DSP processors". The Electronics and Communication department of Christ university faculty of engineering, Texas instruments India University program and EdGate Technologies private limited arranged “The three day workshop on MSP430 microcontroller and DSP processors” in association with academic staff college on 17, 20 and 21 October 2014. The program began with a detailed study of MSP430 microcontroller architecture. It is a 16-bit mixed signal microcontroller designed for low cost low power applications. The design is based on the Von-Neuman architecture with reduced instruction set. The processor speed is 25MHz and have 256 KB flash memory with 18KB RAM. The hands on session started with setting up the board for programming with the software tool Code Composer Studio. The programming is based on C, which will be compiled and written to the memory by the Code Composer Studio itself. Further hands on was done on how temperature sensor and ADC interface works on the board is demonstrated and experimented. Displaying the room temperature and the voltage level given by a potentiometer integrated to the board was the two experiments carried out. Experienced Professional with extensive experience in engineering execution, business development, and partnerships management; Current role involves defining business and product strategy, owning direct responsibility for top line revenue and execution with World’s 2nd largest Korean wireless operations for Texas Instruments, Inc. Program Managed teams across India, Israel, Europe and USA to take 8 smartphone products to market. Program Managed teams across India, Israel, Europe and USA to take 8 smartphone products to market. Internet of Things is the development of the current technology by which all the devices and belongings of a person is synchronized. Agreeing upon the current imbalance on the over usage of technology, Mr.SanjaySrivastava shared his belief that the time when the users are matured enough in case of electronic gadget is not far. He emphasised much upon the usage of the technology towards the societal development in rural India. Several questions were raised by the faculty members ranging from the aim of the TI university program to the current global market of the electronics.The answers were the real eye openers.